Rabies is a significant neglected vaccine-preventable disease that is global in distribution. Multiple biologics are utilized in routine prevention and control of this zoonosis. Currently, rabies vaccines are used to interrupt a productive viral encephalitis before or after pathogen exposure in humans and animals. In addition, rabies immune globulins are used as part of prophylaxis after human exposure to a known or suspect animal. Such rabid animals are diagnosed based upon antigenic detection in the brain by selective antibody conjugates. Although experimental proof of concept has been demonstrated in a variety of systems, to date no plant-produced biologics have been licensed for such applications in rabies surveillance, prevention or control. In addition, given the breadth of the host spectrum, there are multiple domestic and wild mammalian species that lack specific vaccines and the cross reactivity of existing products is limited by considerable viral diversity. 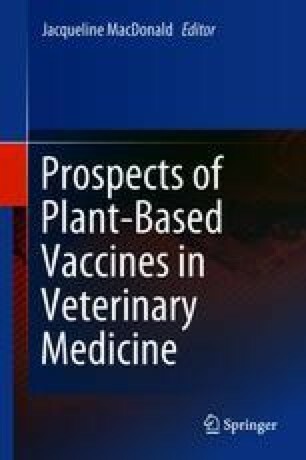 Hence, if safe, effective and inexpensive biologics may be produced in plants, especially for oral delivery, there is a considerable global niche to fill within the realms of public health, veterinary medicine and conservation biology.